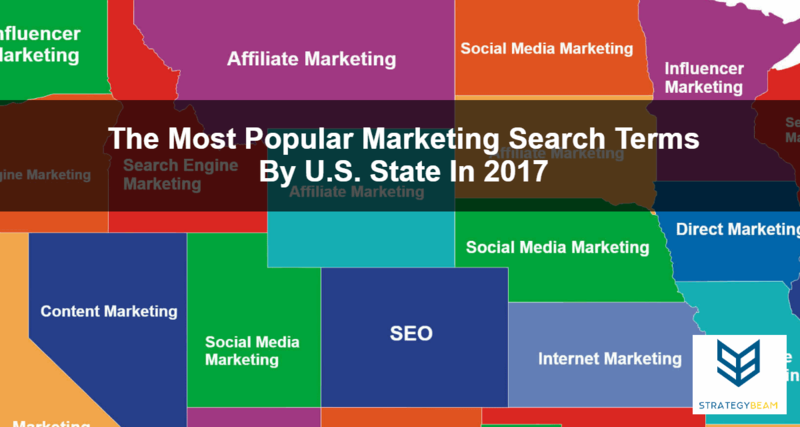 2017 was an exciting year for online marketers. We saw major shifts in how different marketing platforms performed and how to reach out customers. 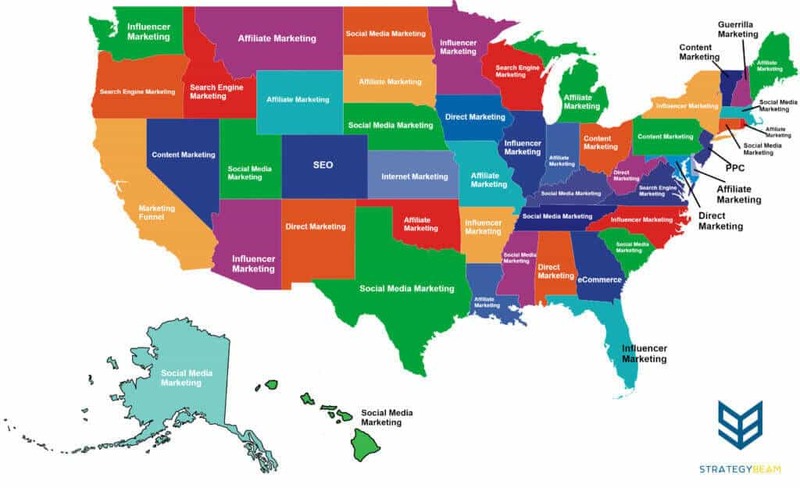 Here is a map showing the most searched marketing terms by U.S. state.